A birthday card for the best ever Godson! Let him know how awesome he is with this unique card! 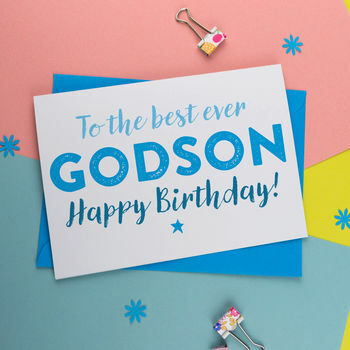 This bold typographic style birthday card will make your Godson feel extra special on his birthday. 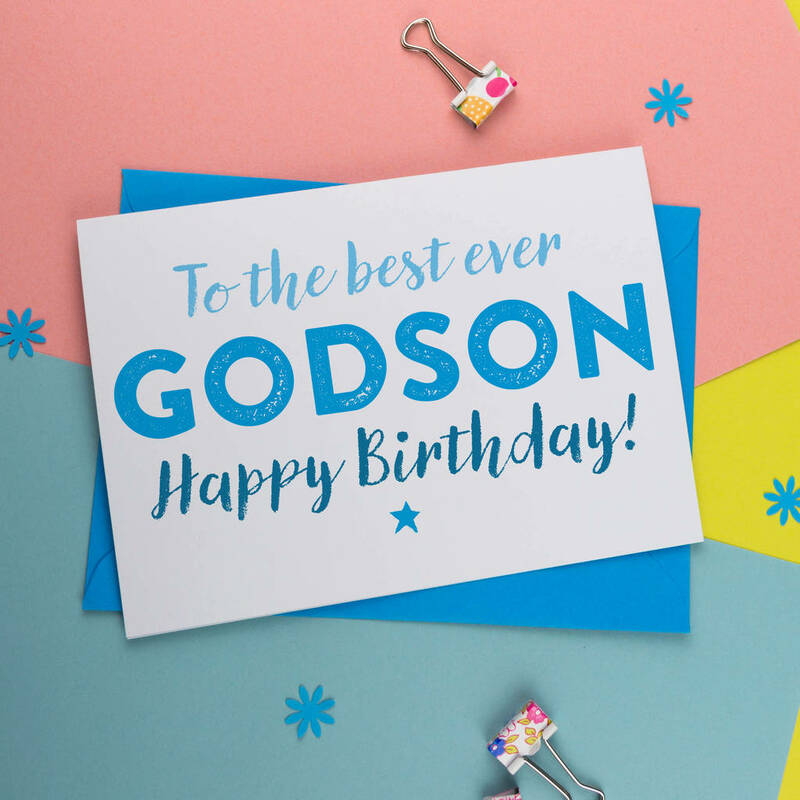 Designed with a bang-on-trend style, this card is perfect for Godsons of all ages.